New Zealand journalist Caroline Phillips reports on her visit to Puglia’s newest village resort and marvels at the region’s food. Read her account, “Puglia: The Heel’s Had a Reboot,” at http://www.nzherald.co.nz/europe/news/article.cfm?l_id=7&objectid=10801117. Take proper precautions to protect your rental car. Because Puglia’s network of trains and buses does not provide access to all parts of the region, many visitors opt to rent cars, frequently at airports. From my experience, that’s the best way to enjoy Puglia and to see what the region has to offer visitors. But you need to be mindful that as an outsider you can be a target. There are ways to protect yourself and your rental car. First, rent your car from a recognized company. Most international rental car companies have outlets at Puglia’s airports. Reserving a car in advance is advised; necessary if you need an automatic. Carry an International Driver’s License (available in the U.S. from AAA). Buy the insurance. Make sure you check the car for any damage before you leave the lot. Ask about any precautions or special rules, such as areas to avoid or what happens if your rental car is stolen. Get a map and familiarize yourself with the area. Know where you’re going. Take the time to learn the local traffic laws and what the road signs mean, especially in regard to legal and illegal parking. And don’t drink and drive. When parking, look for public lots that are supervised or access is controlled, such as at a public beach or a historic site like a castle. A parking garage is the best option at night. In public parking areas in some cities and towns, you may see men wearing white captain’s hats with “Parcheggio” (“Parking”) stitched across the front. For the most part, they have no official capacity or legal authority, but for a euro or two they will keep an eye on your car while you’re walking around. It’s unofficial, but it works (the same type of situation exists at many public restrooms, but that’s a topic for another blog). Puglia’s highways are for the most part easy to navigate and well maintained. Local roads can be tricky, especially at night. 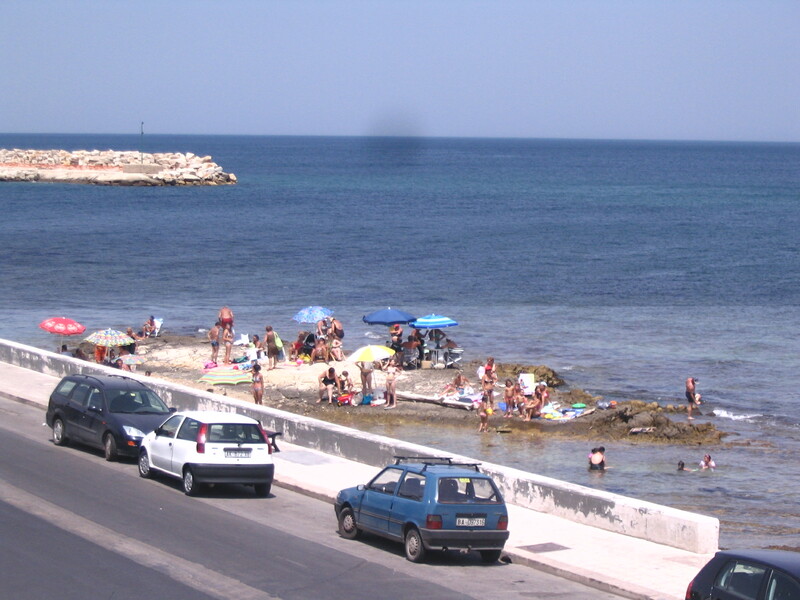 But if you take the same precautions you would take at home, you will find Puglia a great place to explore by car at your own pace. You are currently browsing the Puglia Connection Blog blog archives for April, 2012.